Dr Andrina Chien is the owner and principle chiropractor of Open Space Healing. Dr Andy has always had a thirst for learning and a passion for holistic health. She has trained in many disciplines, not-limited to Craniosacral Therapy, Reiki, and Kundalini Yoga. Dr Andy is also a certified Chek practitioner and holistic lifestyle coach. She was inspired to create Open Space Healing in 2012. A true holistic wellness center, where many healing modalities could come together with the single intention of inspiring and empowering the individual to raise the health of the community. Andrina received her Doctor of Chiropractic degree with honors, from Murdoch University in 2006. 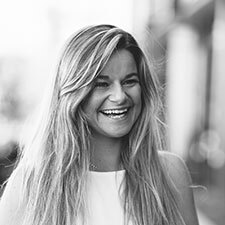 In 2011 she began teaching at Murdoch University in the role of supervising clinician and was voted the WA Young Chiropractor of the Year by the Chiropractic Association of Australia (CAA WA). She was a director on the board of the CAA WA in 2007 and 2008. 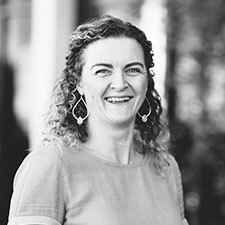 In-between managing Open Space Healing and caring for her clients, Dr Andy cherishes her time spent with her two young children (who were peacefully born in water at home), Armi and Allegra, her German Shepherd and husband. Her greatest reward is seeing generations of a family at a time, helping inspire them through education to make empowering choices for the health of their families. 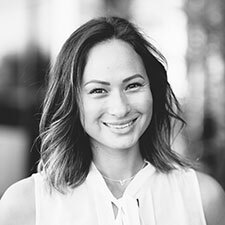 As an Integrative Chiropractor and director at Open Space Healing, Holistic Lifestyle Coach and Personal trainer with 11 years experience in the health and wellness industry, Dr Jacinta has worked with over 1000 clients to help them heal from the inside out, naturally, using a complete mind, body and soul approach. As Dr. J puts it, “There is nothing more exciting than seeing the look in someone’s eyes when they realise they have complete control over their health.” That empowerment is what drives her to continually provide expert care to patients of all ages at our practice. Dr Jacinta is obsessed with all things natural, healthy and holistic living and with a special interest in empowering ambitious women to live the vital life they deserve, you will find her frequently sharing her knowledge as a Keynote speaker, on podcasts and at wellness events. When she isn’t helping patients feel better, Dr. J enjoys spending time at the beach, trying new local eateries and visiting local farmers markets with her border collie, JD. Dr Gracie is a passionate chiropractor, whose core purpose is to empower everyone to realise their true potential. Through Chiropractic care and lifestyle changes, Dr Gracie is committed to helping clients on the path back to not only feeling better, however regaining ultimate health. She works with all ages and has a special interest in children and pregnancy. Dr Gracie uses both manual and low force techniques, tailoring her approach to her clients needs. Whether you are a peak performance athlete looking to create that next personal best, or a grandparent wanting to have the mobility to play with you grandchildren, Dr Gracie is with you every step of the journey, dedicated and excited to help you exceed your goals! When Dr Gracie is not in the practice, she is most often found at the beach or hanging out with one of her four legged friends. She enjoys all outdoor activities including snowboarding, diving and pretending to know how to surf! It’s her love for adventure that drives her to help others enjoy a happy, healthy, vibrant body and get the most out of life! Today, Kim is well-adjusted and able to dance again! She is now a member of one of Perth’s most successful dance crews and you can catch her performing all around WA. Her mission is to help others along the same path so they can do what they love most, or even better, to prevent injury and avoid that path entirely! 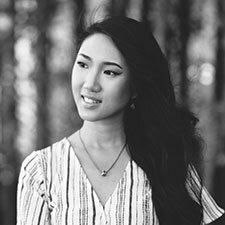 Kim is a massive creative and spends her spare time designing costumes, collaborating with artists and dancing with her team. She also enjoys badgering her very fluffy Pomeranian called Pika. 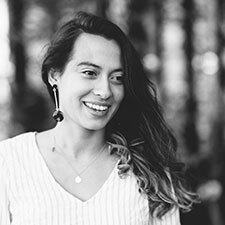 Hridaya joined the Open Space Healing team with a passion for helping patients achieve natural health and wellness while restoring the body’s vitality. Hridaya is a certified Meditation and Yoga instructor as well as a Biomagnetism Practitioner. Outside of the practice, Hridaya enjoys practicing yoga, reading and traveling. Hridaya supports local organisations including The Bright Path Australia and Spanda School Community. Get to know more about Hridaya when you book an appointment with us! 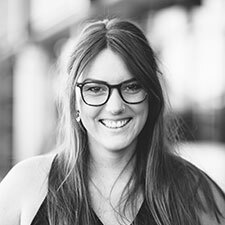 Rachel is currently studying a Bachelor of Health Science specialising in Naturopathy at Endeavour College. She loves being part of the Open Space team, which emulates the same values of love and compassion towards all life that she holds. As a Freo Local, Rachel enjoys all the lifestyle benefits it provides! In her spare time you can find her reading, painting or at South Freo Beach soaking up sunshine!